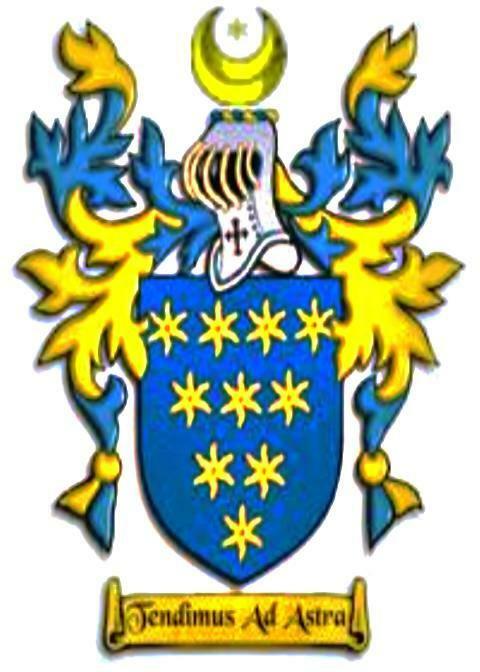 John Alston is not proven to the many references to a John Alston during and prior to the 15th C.
Cresswell made an assumption that as he had linked him to Newton Suffolk, he was the father of William of Newton and that the family had established there from Stisted Essex. The following indenture shows that a John Alston, then William Alston held land named Crekys, in Newton in 1514. BURY ST. EDMUNDS AND WEST SUFFOLK RECORD OFFICE Received from Mr. L A. Sheppard, 55 Park Town, Oxford, per the East Suffolk Record Office. Ac. 869 . Thomas Gosse, son of John Gosse, at instance of Joan Medevryn, widow or Thomas Medewyn formerly of Newton, and Robert Rowge, executors of the will of the same Thomas Medewyn to Thomas Bonham Esq., Stephen Roose and William Taylour. A messuage and three pieces of land in Newton. The aforesaid messuage with garden called Pryours lying between a tenement, once of John Fuller now of Thomas Warner, and the common pasture called Newton Hethe, with one head abutting on the way leading from the Rectory there towards the Church of Newton, the other head abutting on land once of John Wyffyn called Santerescroft now called Town Croft. The first piece of land was formerly built upon with a messuage, contains one acre and lies between land once of Peter Jurdon afterwards of Richard Mody, then of Andrew Halys and now of Thomas Hale on both sides and abuts at one head on lands pertaining to the tenement called Crekys once of Richard Croke then of JOHN ALSTON and now of WILLIAM ALSTON and at the other head on the highway leading from Sudbury to Assington. The second piece of land contains half an acre lying in the field called Outefeld viz; between land of the Rectory of Newton and land pertaining to a tenament called Colles pertaining to the chantry founded in Acton, with one head abutting on land of the same tenement called Colles, the other head abutting on land called Basely otherwise Crookes formerly of Robert Donyng now of John White. The third piece of land formerly was called a garden and contains 1 rood of land and lies between the common pasture called Newton Heath and land of the manor called Newton Hall called Yves Croftes. These premises Thomas Gosse formerly held jointly with Thomas Medewyn of Newton, Isabella his wife, John Deene, gent., Richard Smyth, jun. , and JOHN ALSTON, NOW DECEASED, of the feoffment of Richard Gosse of Newton, Grinenilde, his wife, John Gosse and Edward (or Edmund?) Waspe as appears in a certain charter then made. Having and holding to Thomas Bonham, Stephen (Roose) and William Taylour, their heirs and assigns, to the use of Thomas Bonham and his heirs 2 August, 1514. (1 parchment document, seal of Thomas Gosse missing). Thomas Alston in his Will of 1469 mentions a tenament in Melford called in Latin "Hame Hammundes Crycbe"
NEWTON-near-Sudbury, a pleasant village, scattered round a green of 40 acres, 3 miles E. of Sudbury, has in its parish 443 souls, and 2197a. 2r. 32p. of land, in the manors of Newton Hall and Bottelers. Earl Howe is lord of the former, and the Rev. T. H. Canston of the latter, but part of the soil belongs to J. Gurdon, H. Green, and E. Stedman, Esqrs., and several smaller owners. Sackers Green,1¼ mile S.W. of the village, is a small hamlet in this parish. The Church (All Saints) is an ancient fabric, with a tower and three hells, supposed to have been built by the Botteler family, who were seated here, but went to Ireland at the Reformation. The rectory, valued in K.B. at £17.13s. 8½d., is in the patronage of St. Peter's College, Cambridge, and incumbency of the Rev. Charles Smith, B.D., who has a good residence, 55a. of glebe, and a yearly modus of £597, awarded in 1840. Here is a National School, built in 1836. The poor have four rent charges amounting to £1. 16s. 8d. yearly, left by Wm. and Edw. Alston, in 1564 and 1591, and Robert and John Plampin, in 1603 and 1618, out of property now belonging to the Alston, Nicholson, and Gurdon families. Tiffen Thos Layzell, jun. Siam Hall (owner) Farmer. John spouse unknown about 1481 in Newton SFK.